Do you know about Doala? 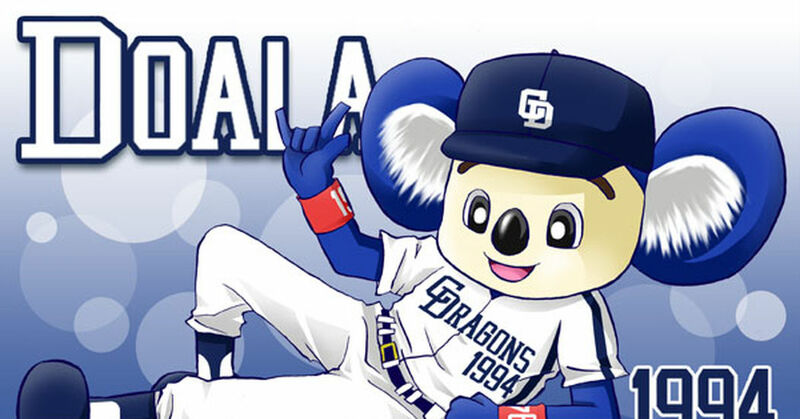 He is a blue koala mascot for Chunichi Dragons and joined the team in 1994. His most prominent features are his glittery bright pupils and his fluffy ears! Fuzzy cheeks! Maybe that's his secret to his popularity and also being really nice and thin. Doala is really good at backflips and dancing, so even his actions are kind of... cute! And... not cute. Well, because he likes to move freely around the baseball field they like to call him a wild marsupial! Check out these Doala illustrations! !